DESCRIPTION Beautiful and exceptionally well-maintained Bi-Level located on a quiet street in the community of Taradale. Your future home opens up to a bright & open floor plan. A cozy living room with a bay window, dining room, spacious kitchen, 2 bedrooms and a full bathroom complete the main level. In the fully finished basement there are a full-sized bedroom, a den, 4 pc bathroom plus an extra large family/recreation room with a cozy fireplace. You will find everything you need in this home including a large deck and double detached insulated garage. 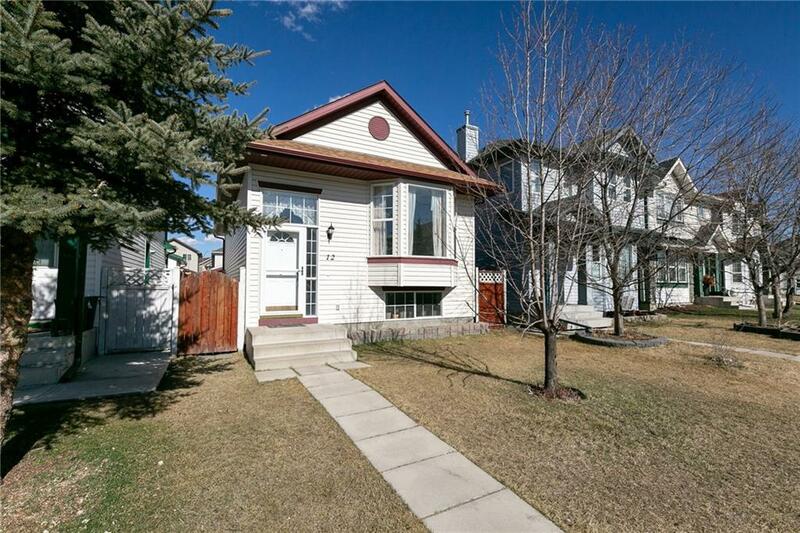 Close to school, park, playground, transit, and other amenities. FEATURES: new paint, roof and sidings 2016 , OVERSIZED double detached garage. This is in MOVE IN CONDITION.